WE’RE APPROACHING the Christmas season and the posties are into rotating strikes as they go after a new agreement with Canada Post. It’s the old story of holding the public hostage during the season when everybody wants to mail parcels to friends and family in other places. There was movement in negotiations on the weekend, but not in the right direction. Canada Post made an offer; CUPW rejected it without even sending it to its members; the federal government is looking at all possibilities for ending the stalemate. Those options would include appointing a mediator or simply legislating an end to the dispute. There’s a better way of addressing the points of disagreement on the bargaining table. One of the biggest issues, if not the biggest, is a demand from the union that rural carriers and urban carriers get equity. Currently, urban letter carriers are paid by the hour, which results in a higher wage than that of rural carriers, who get paid based on the size of their routes. Meanwhile, of course, Canada Post costs billions to operate. There’s a clear long-term solution to the current labour dispute, and Canada Post’s financial problems, but it would take political guts to do it and the Trudeau government clearly doesn’t have it. In addition to the double standard on wages between rural and urban carriers, there’s a double standard in delivery. Rural residents receive delivery in community group mailboxes rather than at their door steps as most urban residents do. 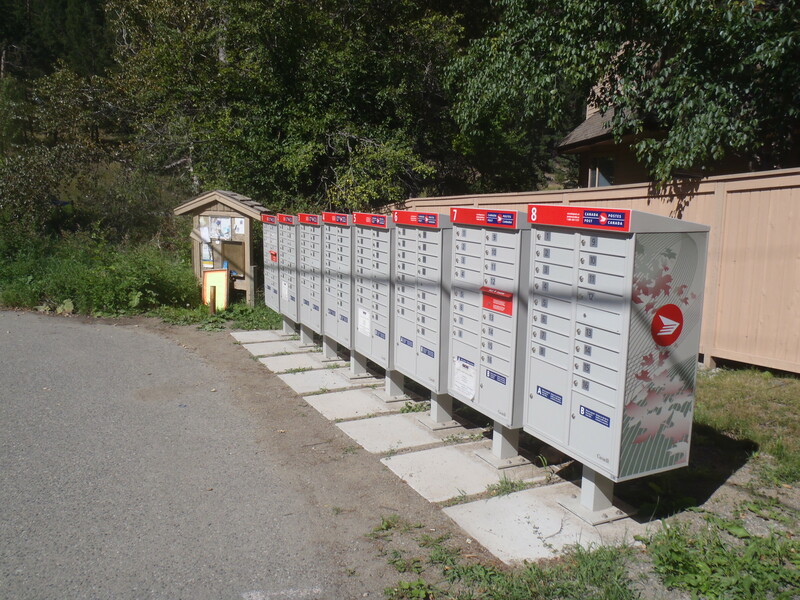 The previous Conservative government began extending community mailboxes into urban areas but the Liberals called a stop to that for political reasons. Pushing the re-start button on community boxes in cities would solve most of the issues around wages, routes, injuries and overtime. But unless Canadians start thinking outside the box and get behind community mailboxes, giving courage to the current batch of politicians, it won’t happen. It was a disappointment to me when the Libs tossed the idea of creating equality by providing postal boxes in all cases, for the 80 years that I have lived in BC, I would guess at 3 years during which I had the luxury of home delivery, it is a luxury whose time has come and gone and I do find it grossly unfair that it only belongs to those who live in cities. Typical answer, must be the employees fault so lets lay off a bunch of them and go to community mail boxes. Every lay-off takes over $45,000 out of the community. These jobs support local businesses. Instead of going after the workers, why not go after the serial offender – management. There would be an agreement months ago if management did’t have the idea of “take what we offer or we will just let government force you to take it”. Steven Harper did this and the decision as challenged in court and was found to have violated the Charter Right to bargaining. Management is the real villain here, constantly ignoring the unions ideas locally in joint health and safety committees, and nationally. For the largest shipping company in Canada that posts multi-million dollar profits 21 out of 23 years, to the tune of over a billion dollars, to cry poverty when its time to take care of its workers, is just criminal. Perhaps it’s time to cut at the top for a change, reduce some of those 22 Vice Presidents, and put the worker first. After all, without them, there would be no company. That makes too much sense Michael . Never happen. I am already in a “community” mailbox in the city, they do their job and get me a little extra exercise to and from it. But why not make the posties take turn in deliveries into rural areas? So everyone gets equal treatment? If Mel wants us to think outside the box how about curb side boxes at all addresses,rural and urban ,Then everyone can have the delivery system that will work.There are several cities in the U.S. that employ this metheod and have done so for many years. It seems to work and it cuts delivery costs by half. As far as I can see Mel makes the case for Pro Rep voting.Where consensus becomes the norm and is reached for the good of the people not for the good of the party. You mean prop rep is like a big community mailbox with individual boxes all muddled together, and the mail takes forever to arrive?